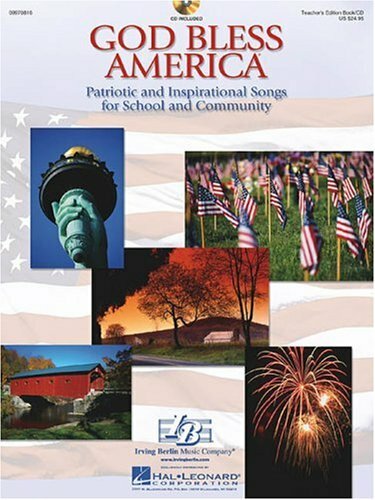 Put together your own custom program with this a wonderful collection of patriotic and inspirational music for younger singers in elementary schools, churches and community settings. The Teacher's Book/CD includes Unison/2-Part piano/vocal/guitar arrangements and an enclosed Preview CD featuring children's voices. The Singer's Edition 5-Pak includes vocal lines only, and the Accompaniment CD includes the instrumental tracks only. Includes: America the Beautiful, Battle Hymn of the Republic, From a Distance, God Bless America, God Bless the U.S.A., My Country 'Tis of Thee (America), The Star Spangled Banner, Yankee Doodle Boy.